Raised bed gardening is a popular method of growing flowers, vegetables and herbs, but it can be an expensive venture – depending on the types of materials you ’re using. 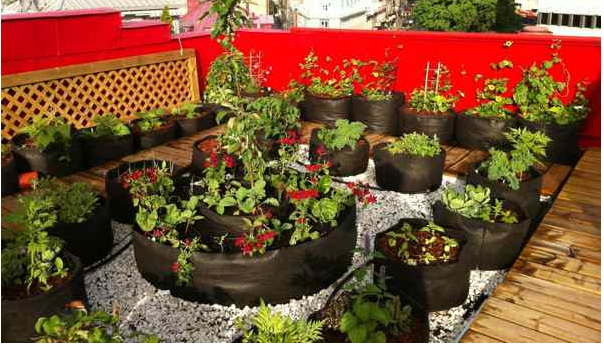 With a Raised Fabric Beds there are ways to have a garden without breaking the bank. Our project consists of using three (3) different advantages we have been working on for a few year. It is a Do it Yourself project that most people can do. 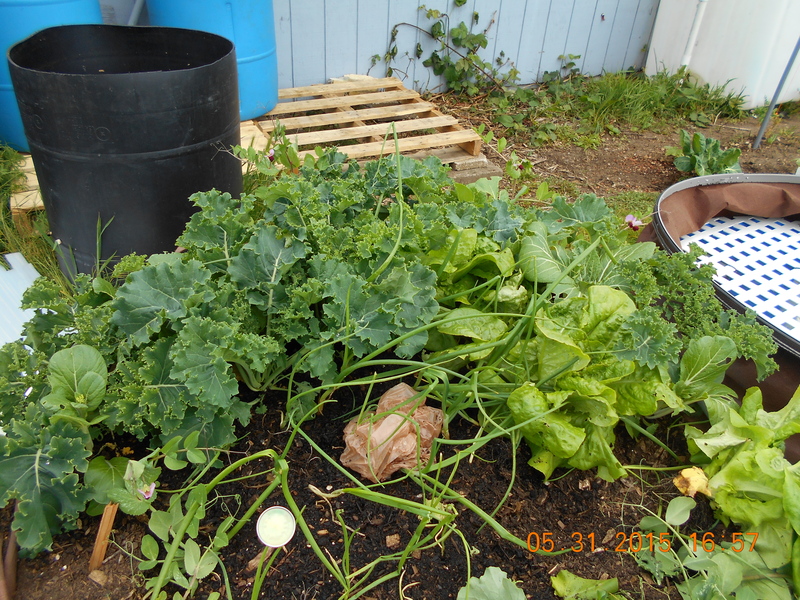 No digging or tilling the bed by using composting in the Lasagna method. Build an Electric Slug Fence to keep out the slugs. A big problem on the Oregon Coast. It’s easier to control the soil. Start with fresh soil or soil mix of your choice!, and it keeps the soil from getting stepped on and compacted. Longer growing season. On the Oregon Coast, the soil is raised it will heat up faster which means earlier planting and longer growing season. It’s easier to tend your plants.You don’t have to bend all the way over to deal with your garden. People even raise their beds to accommodate wheelchairs or physical disabilities. It’s fun to plan the layout and keep certain plants contained.It’s easy and fun to plan what to grow where. Also, plants that may spread too quickly (such as mint! ), can be more easily contained. It’s a great introduction for beginning gardeners.If you’re not sure you want to go farm-style on your backyard, you can easily set up a small raised bed on toward the back near your fence, or even on your patio! You can start small with just one or two beds, and build more lately. There are no tools or additional materials involved. Just spread the fabric bed and fill with material and grow. Instead of put all the material on the ground, we put the material into a fabric bed. The basics of making the composting bed are simple: You’ll want to alternate the things you might throw away into layers of “browns” such as leaves, wood chips and shredded newspaper, with layers of “greens” such as vegetable scraps, garden trimmings, and grass clippings. In time is will turn to compost without touching it again. Click Here to see Video of people building a No Dig, No Till Garden at U of Mass without the Fabric Bed. You want your “brown” layers to be about twice as deep as your “green” layers, but there’s no need to get exact about this. Just layer browns and greens, like making a lasagna. The Raised Fabric Bed is 24 inches high. Therefore, most garden plants do no need that much root room thus, the bottom part of the bed are not used by the plants roots, it is making the compost for next year. Root crops should not be tried the first year. Layer with the bed until it is heaping. It will shrink in a few short weeks. Water each layers as you lay them down. In the summer before you plant more growing media will be needed. We recommend 1/3 Coir (cocoanut husks). 1/3 Pearlite, and 1/3 Compost. 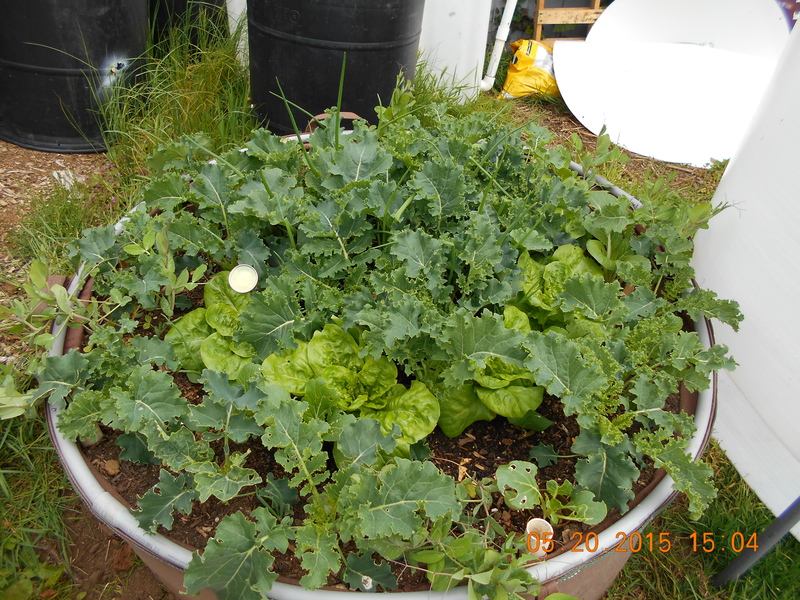 At the end of the first year, you will have at least 20+ cubic feet of compost to use somewhere else. Then you can start with another bed to make a new one for the following summer. Air pruning is a technique designed to encourage the plant to grow a denser system of root hairs, increasing nutrient absorption and enabling the plant to grow more rapidly. Roots, in normal plastic containers, grow to the outside edge of the pot and then circle around and again. Plants absorb water and nutrients from the root tip. Short root systems with several root tips are far more productive than long root systems or big long roots. This technique was developed by the nursery industry. They use it to make better root balls for the trees they sell. These largest roses were produced under these conditions in a pine bark-based mix in a fabric pot. They further noted that even the fabric pot with the inexpensive pine bark mix outperformed the expensive peat-based commercial potting mix – Sungro SB 400 mix that was in a plastic pot. Often, the plant’s root system is left “out of sight….out of mind”… Consider this: Gardeners regularly and repeatedly spend money on root stimulators such as Mycorizal fungi and other consumable products. While Mycorrhiza and other root produces products are good, they will not show you as a dramatic effect as root air pruning containers. The method we use now on the beds is an electric slug fence. 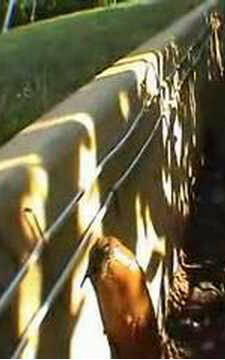 The fence consists of two wires spaced about 3/4 inch apart running around the perimeter of the bed – one wire is connected to one terminal of a 9 volt battery and the other to the other terminal of the battery. An electric current will flow through the slug if it makes contact with both wires at the same time. The resulting “shock” with usually cause the slug to turn back. The battery lasts the whole growing season but the voltage drops to 5 volts or so by the end of the season. It is on duty 24-7. No dangerous chemicals to worry about with this setup. Our first electric slug fence consists of two wires spaced about 3/4 inch apart running around the perimeter of eight (8) raised beds. One problem with making our own electric slug fence was keeping the two wires 3/4 inches apart. We use a stapler, but it let the wires spread to more than 1 inch about in places and did not keep the wire next to the bed in places. This allowed smaller slug to enter our beds. In other cases, the wires touched and shorted out the battery. Our Electric Slug Fence was mounted too low on our raised beds. It was effective until the plants grew high enough to bend over and touch the ground. This gave the slugs the bridge they needed to reach the main feast. To keep the cost low, we used steel wire. Over time the steel wire got covered with rust and that made a bridge for slug. On one bed we used a 12 volts battery and found out that twelve (12) volts would often kill the slugs rather than just turn them away. Click Here to see what a slug does when it encounters an electric fence. Our new electric slug fence has proven to be 99.9% effective. One slug got in the bed last year somehow. Now, we encircle our beds with a special two stainless steel wires embedded in a plastic ribbon ½ inch apart. The plastic ribbon is pop riveted to top side of each Raised Fabric Bed. Each wire is connected to each side of a battery. The wires from each side of the battery must not touch each other. The plastic ribbon stops that from happening. If the wires do touch, that will complete the circuit and electricity will take the path of least resistance. Touching wires will also drain the battery. We are still using a 9-volt battery as the power source. The battery lasts the whole growing season but the voltage drops to 5 volts or so by the end of the season. It’s a good idea to check the voltage once in a while to make sure the battery is still providing enough voltage. It is possible that there will be slugs inside a bed before the Electric Slug Fence is turned on. Therefore, it is very possible that the Electric Slug Fence will not only keep slugs out, but also trap slugs in. Handpicking or the use of beer traps within the bed is needed to get all the slugs out before you turn on the fence. This entry was posted on February 6, 2015 by Kayak Rentals & Sustainable Living.